The former Motcombe WI had to move premises in November 2017 and as they now no longer meet anywhere near the Motcombe area of the town, they have changed their name to Bourne Wanderers WI. Members of the Motcombe W.I. 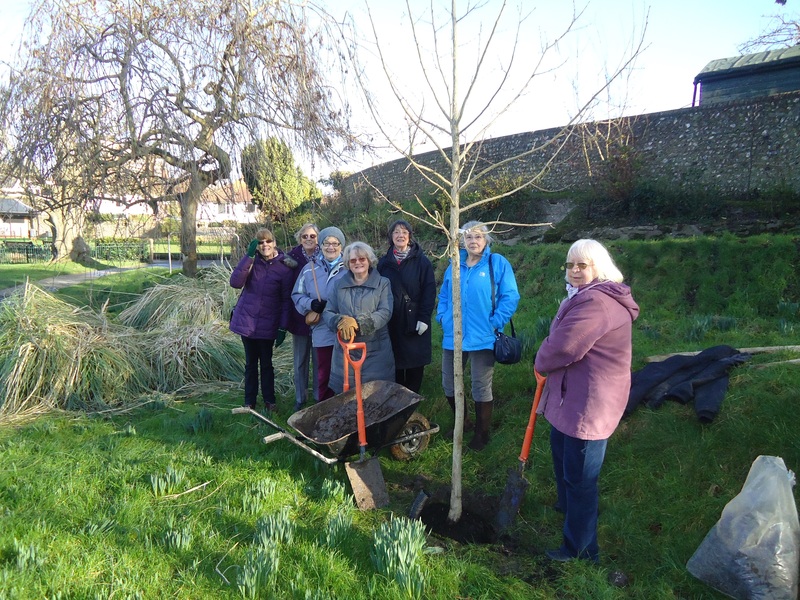 attended the planting of a tree in Motcombe Gardens to commemorate the centenary of the W.I. in 2015. 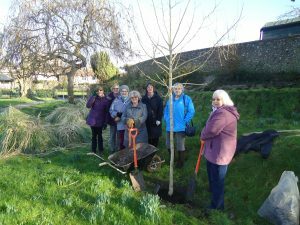 The tree, a Corylus colurna (Turkish Hazel) was chosen as it chimes with the W.I.’s campaign to protect bees and other pollinators and also to provide edible plants and fruits in public spaces. Members would like to thank the local councillors for their help and support in achieving this. The W.I. has always been a campaigning organisation and over the decades has championed many causes that impact on women’s lives. They were campaigning for equal pay for women in 1943 long before any political or labour movement. Anyone wishing to join is welcome to come along for a taster evening. You will be sure of a warm and friendly welcome.